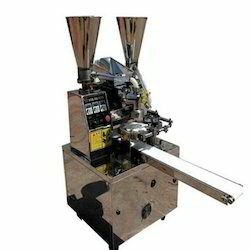 Manufacturer of a wide range of products which include momo making machine, momos processing machine and momo machine. We are well known entity involved in manufacturing and supplying next generation Momo Making Machine. This machine operates on a conveyer mechanism which is equipped with the frequency control technology, making our offered machine best suited option to control the speed of dough filling and manage the thickness of the shell. 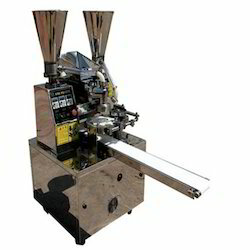 Available in varied output capacity models, this Momo making machine can be obtained at the best market price. With the advantage of extensive prowess, we are involved in manufacturing and supplying best in class Momos Processing Machine. Powered with frequency converter component to control the dough filling speed, this machine is highly demanded for its user friendly operations. Further, this machine can process plain and vegetable filled Momos, with optimum speed. We are well known entity involved in manufacturing and supplying next generation Momo Making Machine.